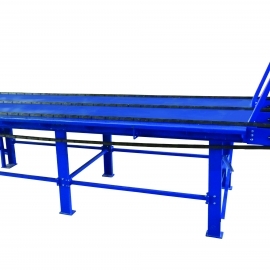 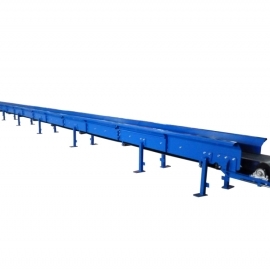 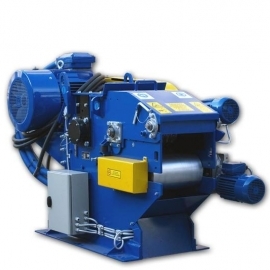 The machines cutting system consists of a drum with 2, 3 or 4 (optionally) cutting knives and one support knife. 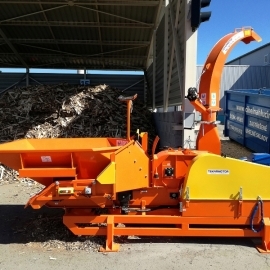 The method of embedding the support knife (extending from the chippers body) allows very quick rotation or replacement (the knife is sharpened on four cutting edges). 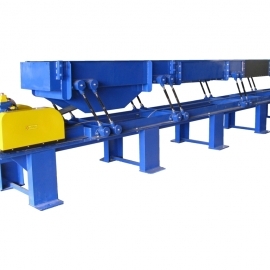 The used knives are made from tool steel, which is resistant to dulling, which in turn is translated into longer lifetime. 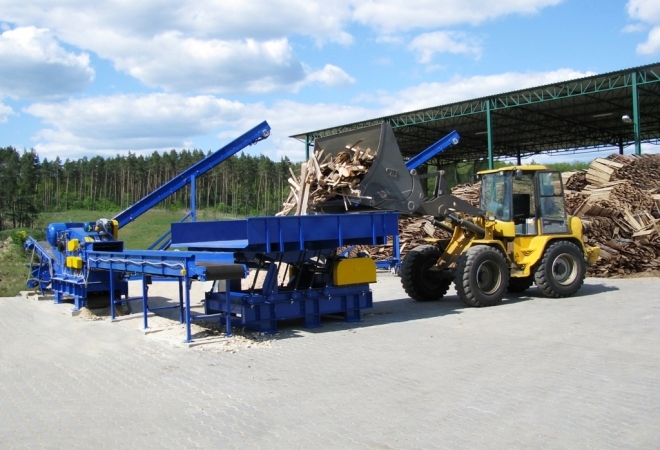 The number of knives on the drum and the diameter of screen openings allows obtaining the required size of chips. 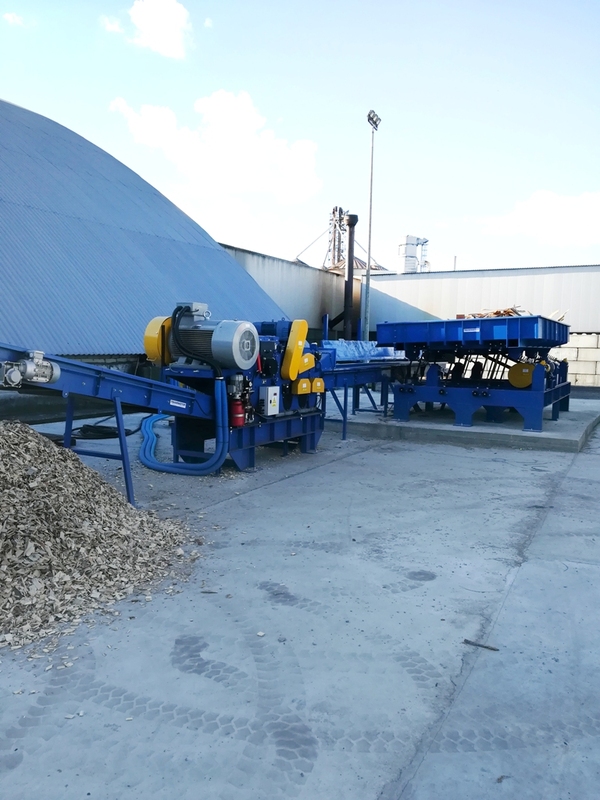 Feeding material is conveyed to the inlet using seven toothed feed rollers, driven by gear motors. 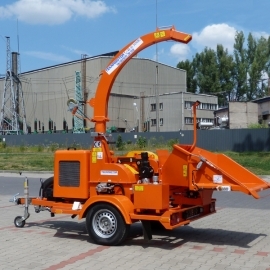 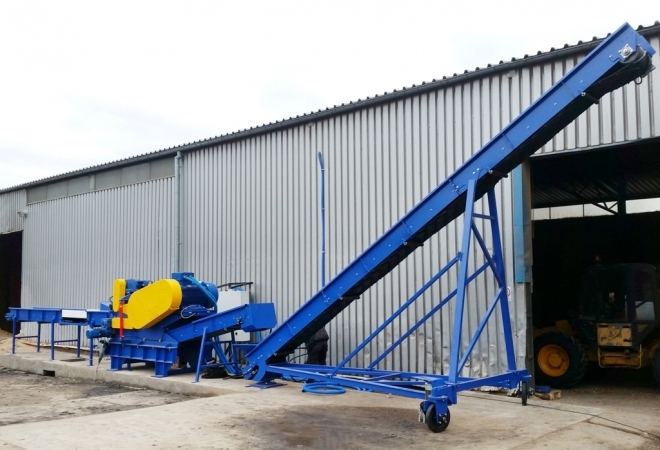 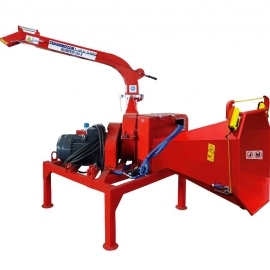 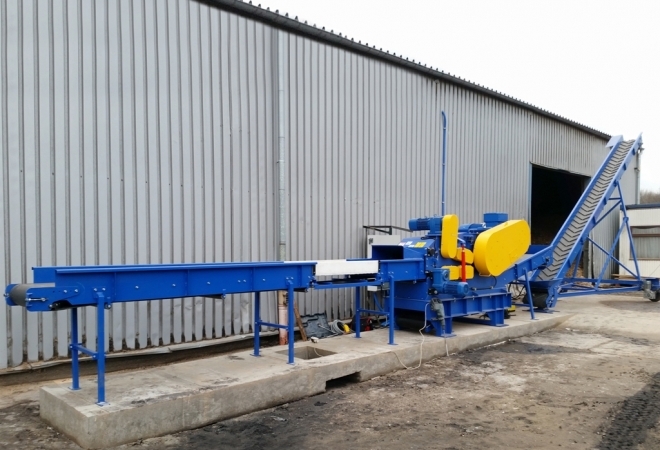 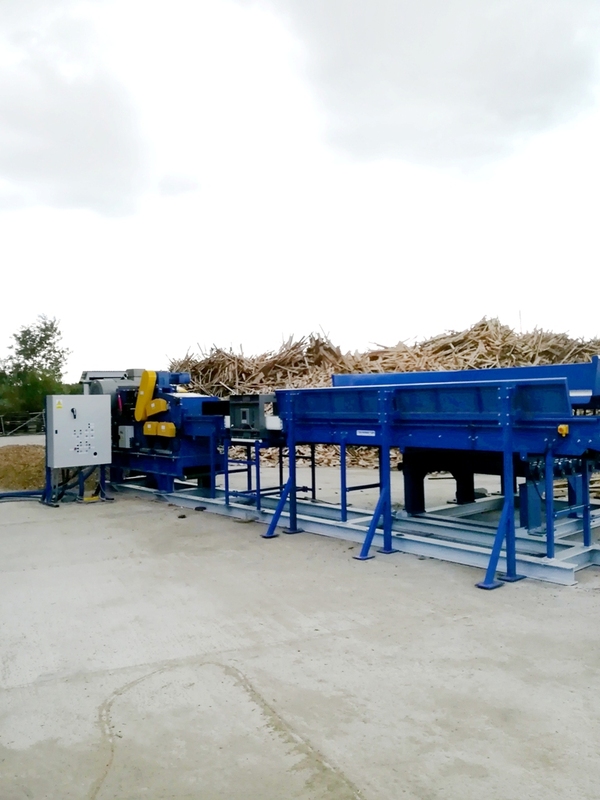 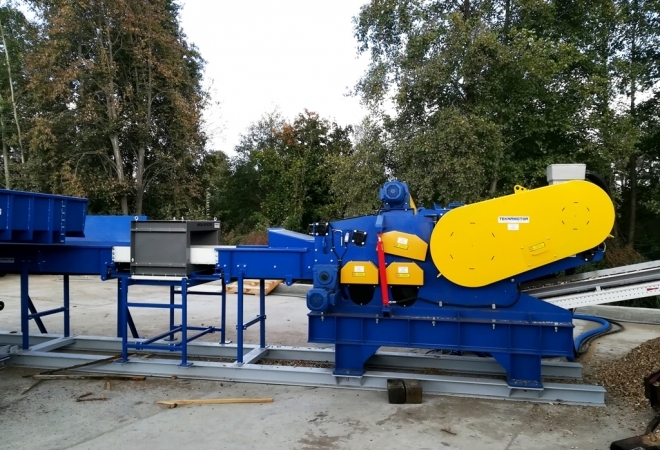 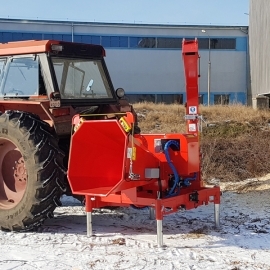 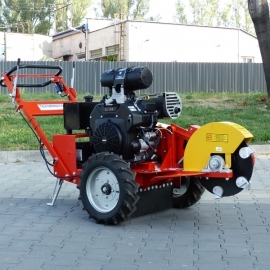 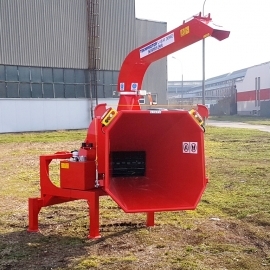 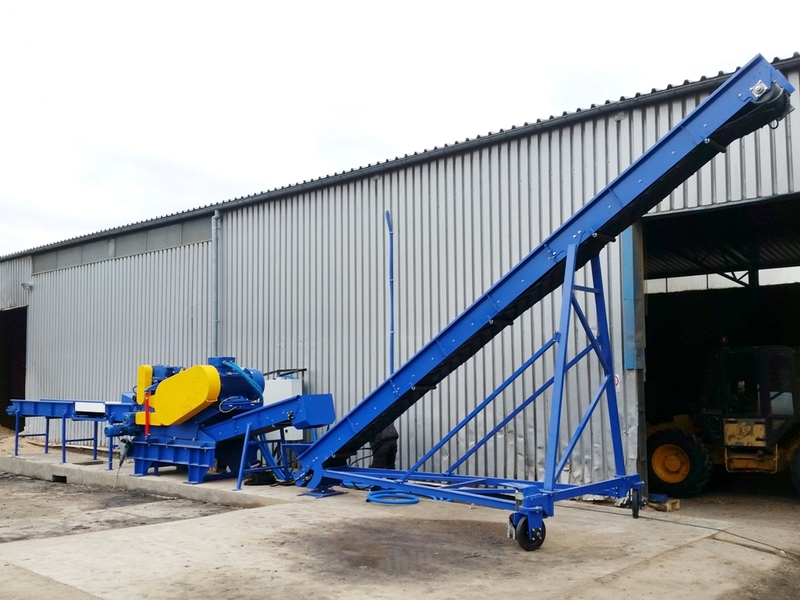 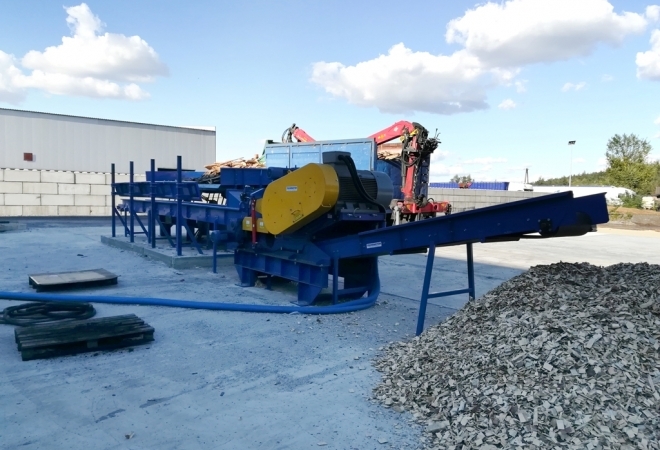 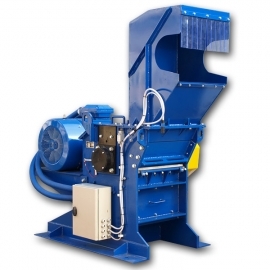 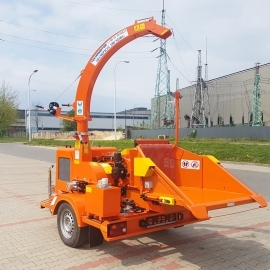 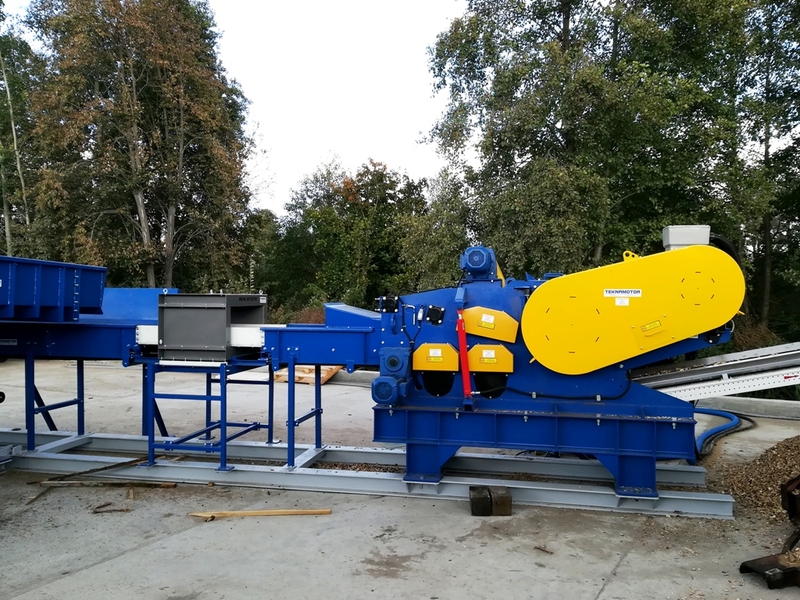 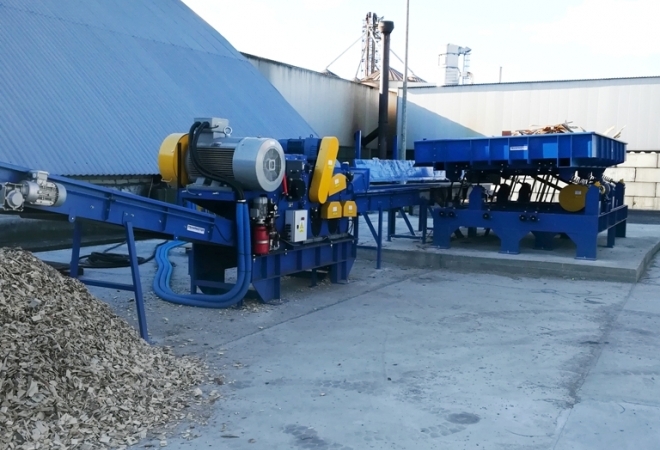 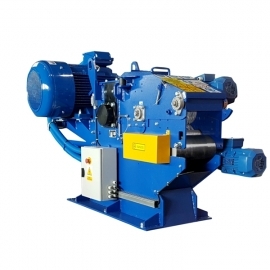 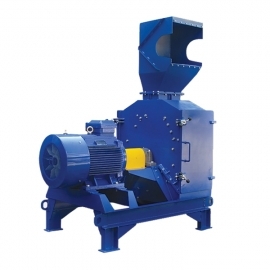 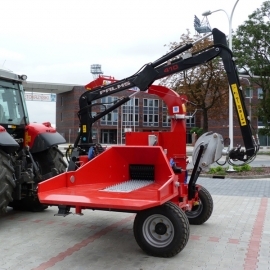 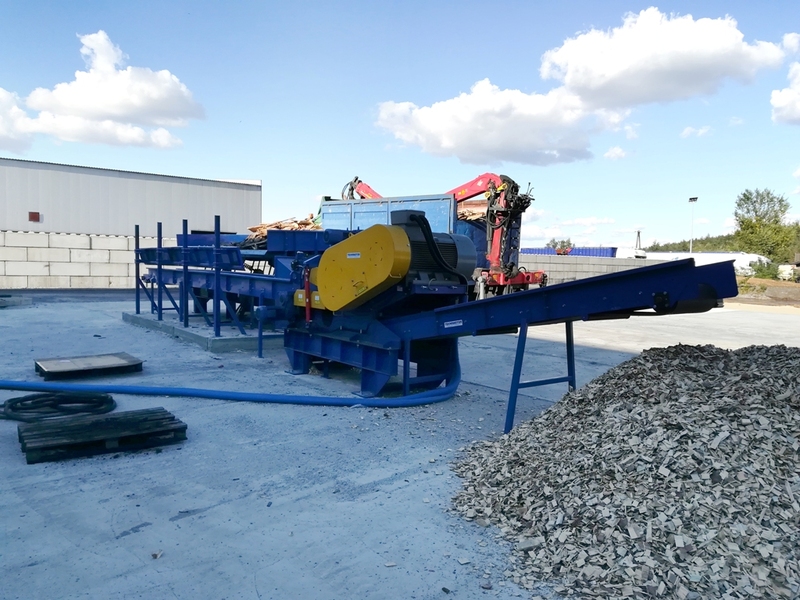 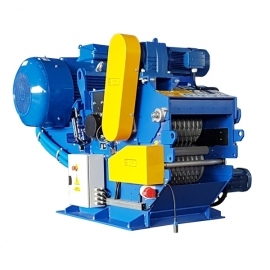 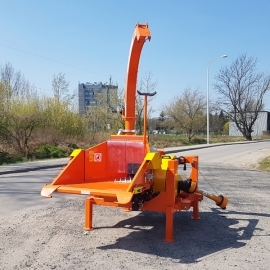 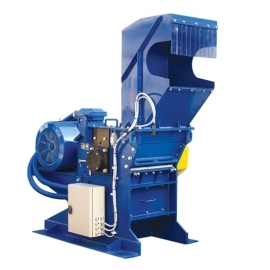 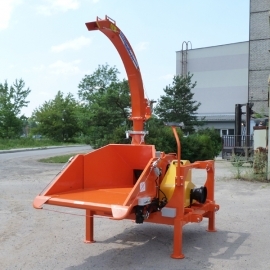 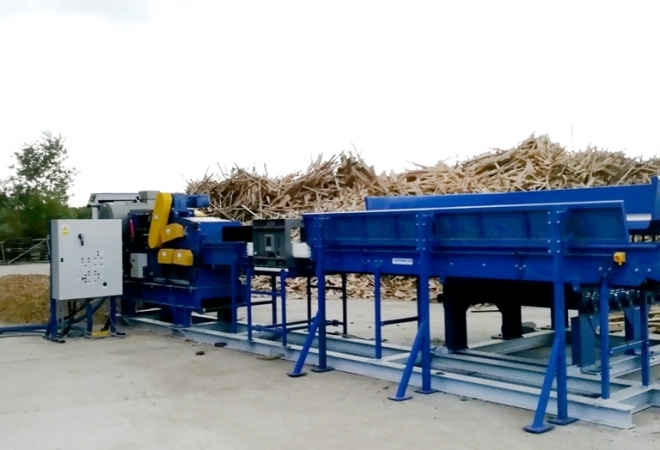 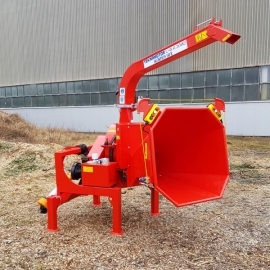 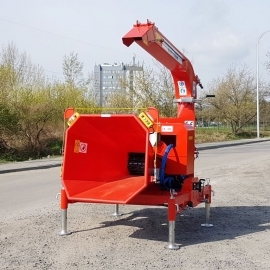 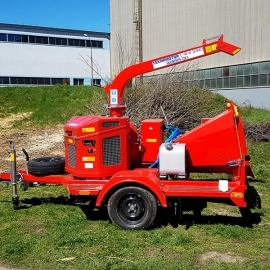 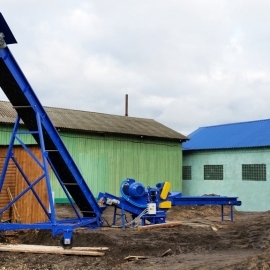 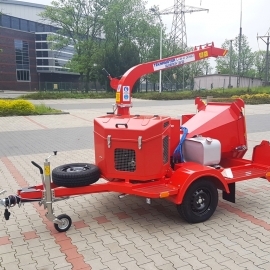 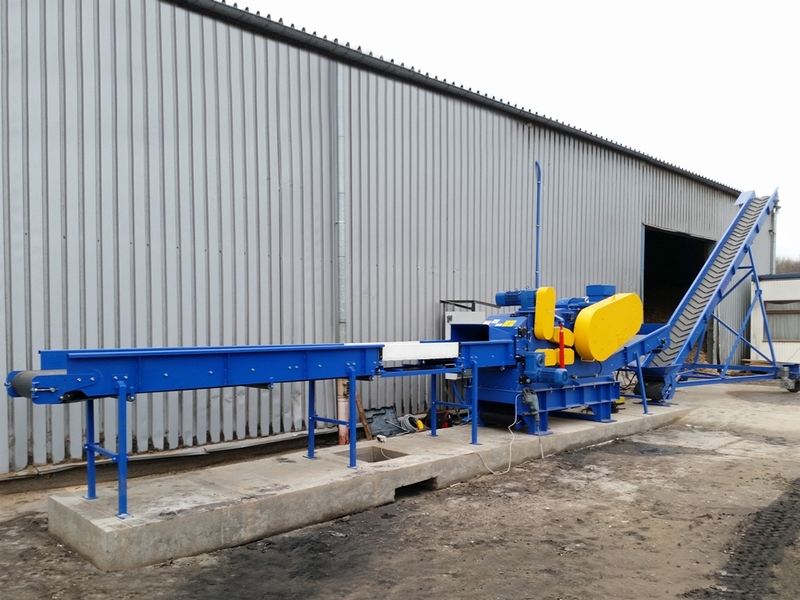 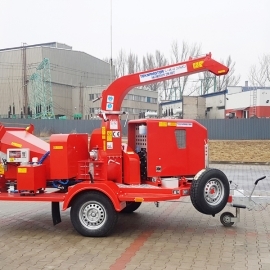 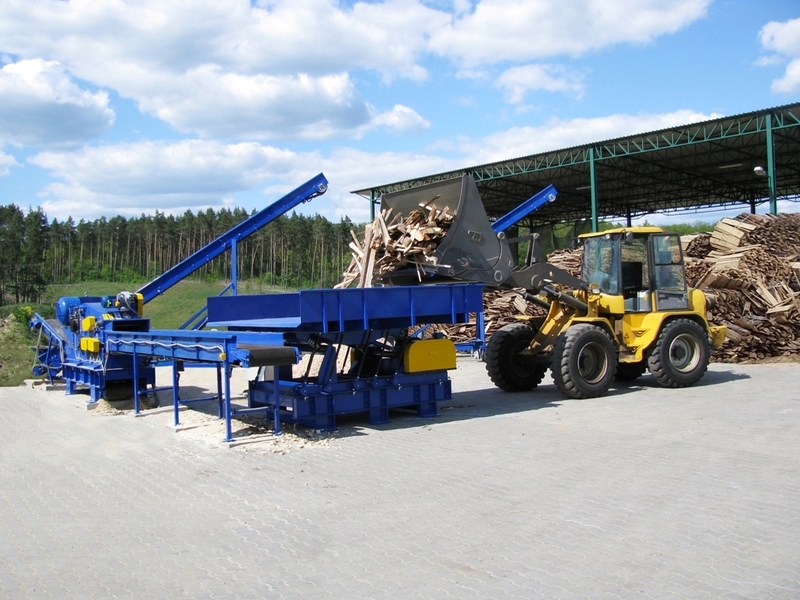 The chipper is driven by electric engine of 90 or 110 kW, and equipped with electronic system of operation control, which automatically prevents overloading of the cutting system by temporarily stopping the feeding.